At Radian Research providing quality products and services is a principle company objective. To demonstrate the company's commitment to quality, Radian Research has implemented a quality system and has obtained ISO-9001:2015 by Lloyd's Register Quality Assurance Ltd. The ISO-9001:2015 certification indicates that a quality mindset permeates the activities of each department within Radian Research. At Radian Research, we are committed to leadership in power and energy measurement solutions. To illustrate Radian’s commitment to offer our customers the best in measurement quality and technical competence our calibration laboratory has achieved accreditation under ISO/IEC-17025:2005 “General Requirements for the Competence of Testing and Calibration Laboratories” while maintaining compliance to ANSI/NCSL Z540-1-1994 and ISO 9001:2008. 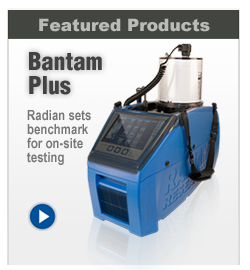 Calibration of products manufactured and serviced at Radian continues to be traceable to the SI through NIST (National Institute for Standards and Technology). Radian Research is committed to leadership in power and energy measurement solutions. To illustrate Radian's commitment in offering our customers the best measurement quality, we have achieved accreditation as a Qualified Accredited Service Provider and are included in the Qualified Manufacturers List (QML) of the International Trade Council.